I am writing this post deeply saddened by the news that I heard of the other night. One of my colleagues Ms. April Taclay, was a vicitm of a hold-up situation and was harmed, that it almost took her life. According to the Inquirer.net, she took a cab from our office coming off her shift at 6 a.m. after a few minutes, the driver declared a hold-up and when April refused to give her belongings, she was shot in the face. The bullet was said to have only grazed her cheek, which still allowed her to jump out of the taxi and she was bought to the hospital by the aid of a motorist. She is currently confined and we have not received any update on her current condition. UPDATE: April is out of the hospital and already back to work. April was not a close friend of mine, but we work on the same floor and she is currently part of Human Resources and Employee Engagement. She does not deserve the ordeal she went through. I believe that everyone has the right to be safe, it is a shame that we trust taxi's to be a safe form of travel but now they are also a threat. I also read a report of another woman who was victimized by a taxi driver, she got on at Camp crame then after a few minutes along Boni Serrano Avenue, the driver declared a hold-up and shot her in ther shoulder. Could this be the same assailant? 1. Choose Company cabs. 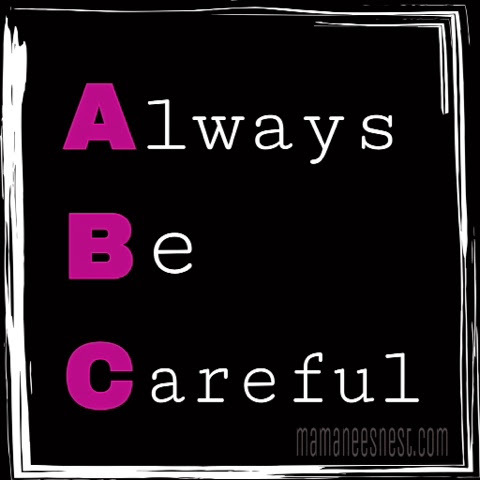 Like E&E, MGE or Basic. These cabs have radios and they should have ID's posted within the taxi and also should be in uniform. If you feel uncomfortable in any way, get off the taxi. 2. Check the plate number outside and inside. Before you close that taxi door. If they are different then you need to get out, there will also a possibility of a child lock where you cannot open the door from the inside. 3. Try not to ride a taxi alone. This makes you more susceptible to incidents of crime. 4. Use Taxi Apps like Grab Taxi or Easy Taxi. This never fails me, I would rather pay extra than put my life at risk. 5. Inform, call or text a relative the plate number of the taxi you boarded. Better yet call, so the driver is aware that you have him tagged and this will help not only with these crimes but also if you leave something valuable in the taxi. Being that it's the yuletide season, there will be many of those looking to do crime. Please take care of yourselves. If you have any tips to share on a safer commute please share below. 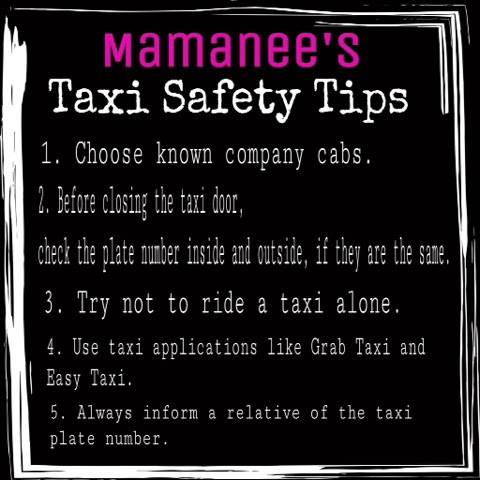 It's also important to pray, have an active mind and be aware of your route when taking cabs. I always make sure I direct the driver which roads to take once I get in so that he'll know he should never mess with me because I know my way. Just 2 weeks ago, a cab driver drove me and Little V to a different route and I got really mad at him because he was obviously taking us to a different direction. I navigated him through the roads where I called his attention. Kala nya ha, saulo ko kaya roads ng QC! It's really scary to take cabs now even if you are too careful there are bad guys everywhere. At the moment I prefer the services of Uber. Thank you for sharing Kat! I haven't tried Uber yet. :) But I will also surely look into it.